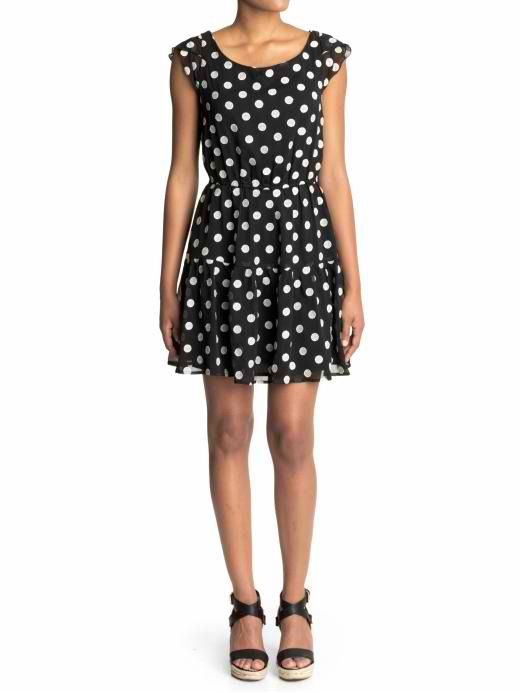 Polka dots have always been a favorite of mine because they are so innocent and yet chic at the same time. 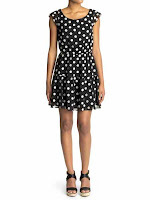 The dots pull in a big statement so it's easy pair with your wardrobe basics to pull off the look. I love how Blake Lively spins the trend with this sheer number to make an evening dress a little more fun and flirty instead of stuffy and serious. You'll want to be spotted in this trend (no pun intended). 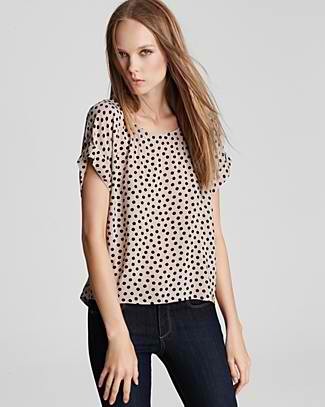 I love the classic black polka dots on this sheer floaty blouse from Splendid. This dress is ideal for summer with a flirty cut from MM Couture.